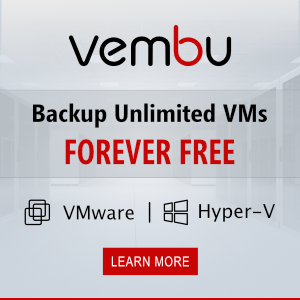 By default, all 64-bit Windows versions, starting from Windows 7, prohibit to install devices drivers that are not signed with a valid digital signature. Unsigned drivers are blocked by the operating system. The digital signature guarantees (to some extent) that the driver has been released by a certain developer or vendor, and its code hasn’t been modified after it was signed. In 64-bit (x64) Windows 10, 8.1 and 7 there are several ways to disable driver signature verification for the unsigned drivers: using a group policy or a test boot mode. Today we’ll show how to sign any unsigned driver for the 64-bit version of Windows 10 or Windows 7. Note. This command and all the next ones must be run in the command prompt as administrator. Windows can’t verify the publisher of this driver software. 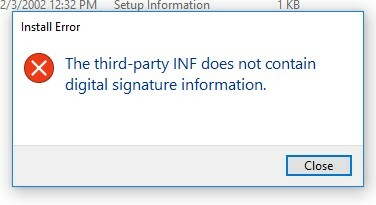 Adding the driver package failed: The third-party INF does not contain digital signature information. Let’s try to sign this driver with a self-signed certificate. Tip. In Windows 10 you can use the newer versions of Windows SDK and Windows Driver Kit. Before installing these tools, make sure that the .NET Framework 4 is installed on your computer. Create a C:\DriverCert folder in the root of the system drive. 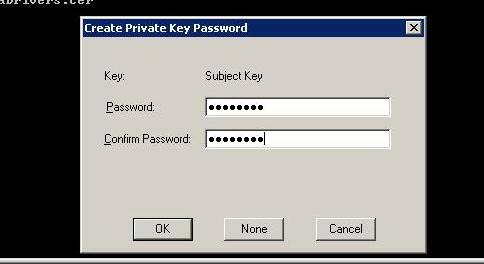 During the creation of the certificate, the tool will prompt you to specify a password for the key, let it be P@ss0wrd. Note. Although the certificate has a limited validity period, the expiration of the CodeSigning certificate means that you can’t create new signatures. 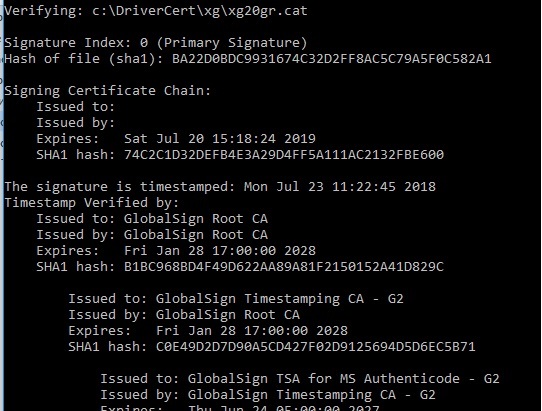 The validity of the driver already signed by this certificate is unlimited (or old signatures are valid during the specified timestamp). Create the directory C:\DriverCert\xg20 and copy all files from the folder into which the driver from the archive has been originally extracted (c:\tools\drv1\). Make sure that there are files with the extensions .sys and .inf among these files (in our case, they are xg20grp.sys and xg20gr.inf). 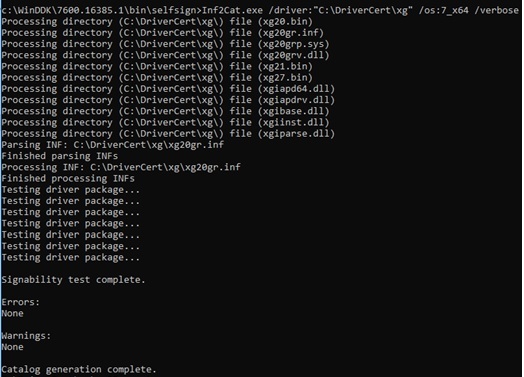 After the command is executed, the xg20gr.cat file should be updated in the drivers’ directory. The CAT file contains digital signatures (thumbprints) of all the files that are in the driver directory (files listed in the INF file in the CopyFiles section). If any of these files has been changed, the checksum of the files will not match the data in the CAT file, and, as a result, the installation of such a driver will fail. 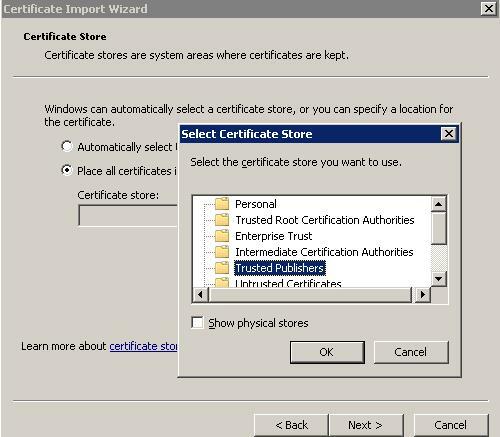 Or do it with the graphical certificate import wizard (you need to place the certificate in the Trusted Publishers and Trusted Root Certification Authorities stores of the local machine). In a domain, you can distribute this certificate to client computer using Group Policy. Note. You can check if the certificate we created is in the list of trusted certificated by opening the certificate management snap-in (certmgr.msc) and making sure that our certificate (issued for our company) is in the corresponding stores. Tip. When you check the certificate store with the Sigcheck utility, this certificate will be displayed as untrusted, because it is not on the listed in the list of Microsoft root certificates (this list needs to be updated periodically). Now you won’t see the warning about the missing digital signature of the driver. The following warning appears in Windows 7 x64: Would you like to install this device software? In Windows 10 x64 1803, this pop-up window doesn’t appear. By clicking “Install”, you install the driver in the system. If for some reason the driver is not installed, the detailed driver installation log is contained in the file C:\Windows\inf\setupapi.dev.log. This log file allows you to get more information about the driver installation errors. 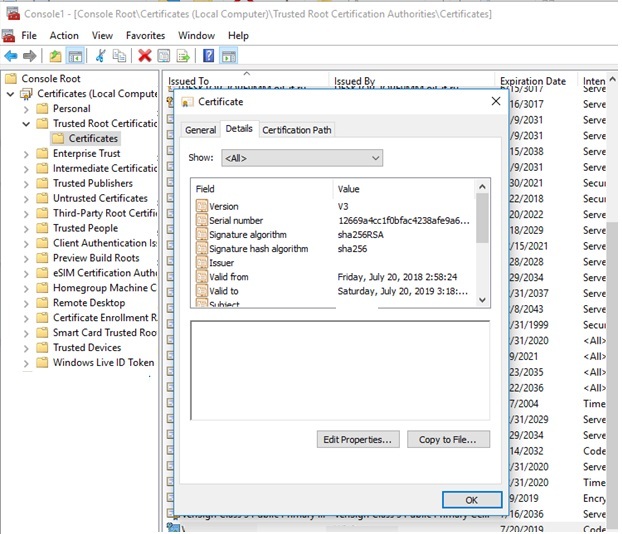 In most cases, there is a “Driver package failed signature validation” error – most likely this means that the driver certificate is not added to the trusted certificates store. Unless you unable testmode (bcdedit /set testsigning on) to disable kernel drivers signature verification, Windows won’t allow the driver to load. You will not have the warning when installing the self-signed driver, but it won’t load. I’ve tested it thoroughly, and it’s confirmed here and there. I followed very carefully all these instructions, and i’m sorry to say that it doesn’t work: Window won’t allow the driver to run if it doen’t have a cross-signed signature. I have also signed the driver itself (not only the cat file), to no avail. I don’t know who made the test here, but this information is unaccurate: yes you won’t get a warning, the driver is installed, but it won’t be running. This worked great for me. There’s a known problem with Ricoh print drivers in which defaults set on the print server do not propagate to clients. Instead, Ricoh defaults need to be put into an RCF file included with the driver. Editing the RCF file breaks the digital signature, which causes clients to refuse to install the driver downloaded from the print server. Re-signing with a self signed certificate and distributing the certificate using group policy solved the problem. Thanks so much for putting this article together. You made it easy for me to complete a complex process. And I did test with Windows 10. It did work there, too. I was able to self sign drivers for Win10 x64. One trick to remember is on the target PC to import the certificate into the “trusted root certification authorities” for “Local Computer”. Using certmgr -add did not seem to import to Local Computer, only Current User. 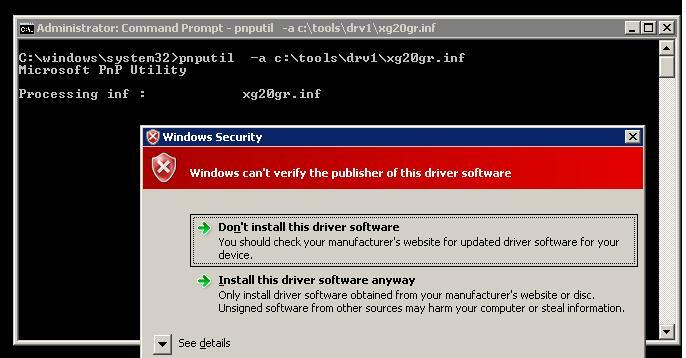 Thanks for this method of self-signing a driver which won’t install due to Windows 10 signed driver installation firewall. I had a very difficult time installing the Windows 7 SDK in Windows 10 because it kept complaining about the version of .NET Framework 4 was an incomplete version and I couldn’t install .NET Framework 4 because a newer version, 4.6.2 is installed and nothing I tried could deinstall it. What I did was expand the Windows 7 SDK and manually installed all of the modules I could then ran the installer which enabled me to fully install the Windows 7 SDK as an installation repair. As well, it is not in the “Program Files (x86)” folder, it is in the “Program Files” folder so change the instructions by removing “(x86)” from the command strings. After all that, which took a long time to figure out, the rest was a breeze. The only problem was that the date of the driver stated in the “.inf” file had to be updated to 04/21/2009 (at least) because it was too old for Windows 7 as it predated Windows 7. Now the 64bit driver for myAOpen FM56-EXV external serial voice capable modem is fully loaded in Windows 10. I tried the steps, and it does what it says — it gets rid of the warning message when using pnputil. It doesn’t make the driver work. While you’re making the steps to “make it look good” by adding a Trusted Root Certification Authority, you’re still missing a “Microsoft Code Verification Root” because your Trusted Root is not recognized by Microsoft. You absolutely made my day!!! – Great Article. Worked for me like a charm! Thanks a lot for your input! Please avoid to spread false informations on the web! Worked on Windows 10 ,1803 using the enterprise SDK. Obviously, some commands need to be changed and you have to add the ROOT cert to the store or this will not be trusted!!! I can use multi-partitionned SD cards in Windows 10 1803 without any additional driver. Checked on Home and Pro versions. This really only works if test mode is on when adding the cert to the trusted publishers and trusted root certification authority. So basically just have test mode on all the time. It’s better than rebooting every time you want to use it and disabling driver verification. Where i can find inf2cat.exe? After install all needed software, in thus folder only hrml file with information that this process now is part of build process. This does not seem to work on Windows 10 when SecureBoot is enabled. 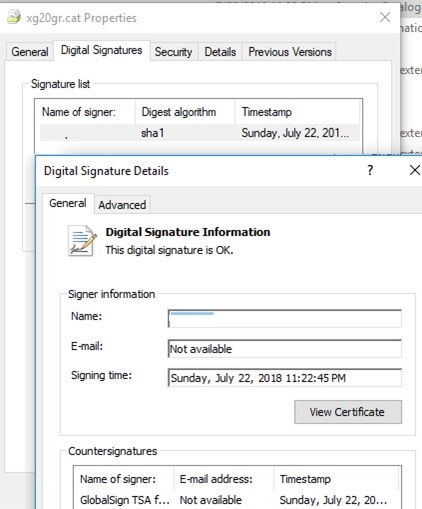 If SecureBoot is enabled the digital signatures details on the .cat file generated will say “A certificate chain processed, but terminated in a root certificate which is not trusted by the trust provider.” If you right click and try to install the INF file it claims there is a problem with the signature. I was able to get it to work on a Windows 10 VMware machine where SecureBoot was not enabled. I googled the error message further and found that with SecureBoot enabled, the driver MUST be signed by Microsoft’s WHQL certification process. So in order for this to work you will have to go into your BIOS and disable Secure Boot.